Mount Kailash is well-known as one of the sacred site among Hindu, Bon, Buddhist and Jain. It is believed to be the ultimate destination of souls and spiritual of whole World. Mt Kailash is also believed, the residence of Lord Siva’s “The God of all Gods”and Lake Manasarovar is soul of Brahma in Hinduism. According to Hinduism, Lord Shiva resides at the summit of Mt Kailash, where he permanently sits for meditation along with his wife Parvati. It is also home of Buddha Damchok who represents supreme bliss of Buddhism and the place is all spiritual power in Bon religion. The first Jain attainted in liberation at Mt kailash and it is known as Sumeru Parvat in Jainism. 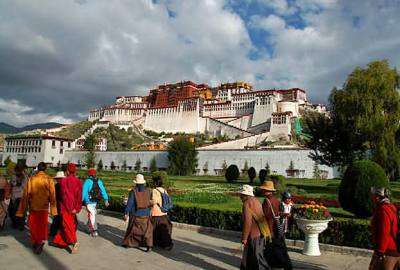 Every year millions of pilgrimage makes Kailash Manasarovar Overland Tour. Pilgrimage from every religion believed that parikrama of Mount kailash will bring good fortune. It is popular belief that the step up on Mount Kailash leads to heaven. In this Holy Yatra, Lake Manasarovar, Lake Raktsesh, Tirthapuri, Asthapath, Nandi and Kailash Parikrama are most popular pilgrimage sides. It all have historical story by their importance. 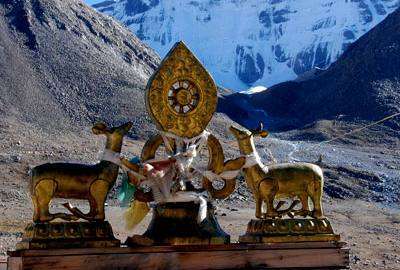 With all of these, to be in Mount Kailash and Manasarovar has become Heaven on Earth. With all of these experience Touch Kailash Travels and Tours became top travel company organizing Kailash Manasarovar Overland Tour from our establishment. Our experience team will provide you brilliant services which take to your successes. Day 03 :Drive Kathmandu to Nyalam 3750 m (150 km - 6/7 Hours) O/N in Guest House After early breakfast we drive through Bhaktapur, Dhulikhel and reach Friendship Bridge in Nepal Tibet boarder. From here we walk for about 10 minutes to cross Friendship Bridge and meet our Tibetan guide and drivers. After all the immigration and custom formalities at the Chinese check post here, our journey continues for another 35 km which can take almost 3 hours through the up-winding road to Nyalam with beautiful scenery. Then, you will be transferred to the guest house in Nyalam (3700m). The facilities of the guesthouse are very simple and basic. We stay free and spend overnight here. Day 04 :Acclimatization and free day in Nyalam. O/N in Guest House We will be going for short hiking after your breakfast which is preparation for Kailash Parikrama and it helps us to acclimatize at high altitude. Rest of the day is free after having lunch. Day 05 :Nyalam – New Dongba 4600 m. (390 km - 5/6 Hours) O/N in lodge After breakfast drive to New Dongba. Passing through many villages and camps of yak herders. Far south you can see snow-capped mountain peaks. Most of the time you will be driving on plains, hence a comfortable drive. Arrive in New Dongba and enjoy hot tea. Day 06 :New Dongba – Manasarovar 4558 m (277 km - 4/5 Hours) O/N in lodge Early breakfast and get ready for driving to Manasarovar. Late afternoon you can have first view of Holy Mt. Kailash and Lake Mansarovar. Hore – a small village is situated near Holy Mansarovar Lake. 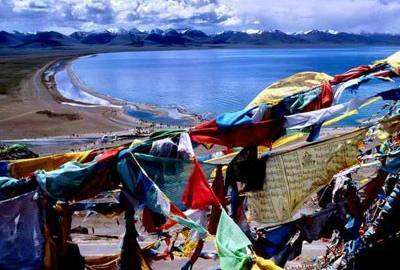 Manasarovar Lake Parikrama by bus.Holy Mansarovar (14950 ft/4558m) – the highest lake of fresh water with turquoise complexion in the world is full of fishes and swans. Holy Mt. Kailash, Mt. Gurula-Mandala, Lake Rakshash are lying on its surrounding. The region is considered rich for gold and other mines, hot springs and hundreds of wild living creatures. Night will be spending at Chui Gompa. Day 07 :Exploration of Mansarovar and drive to Tarchen 4575 m (40 km - 1 Hour) O/N in lodge Holy Mansarovar is the lake of compassion, tranquility and bliss. After completing the memorable morning bath and puja we will be heading towards Tarchen (Darchen). If time permits, we visit Chui Gompa. 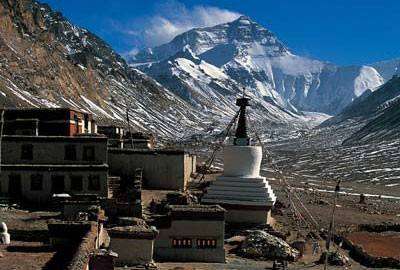 Tarchen is considered as a base camp for Holy Kailash Parikrama. During the auspicious pilgrimage time, this place will be flooded with pilgrims with hundreds of tents all around. Day 08 :Tarchen – Tarboche (13 km drive) and trek to Dirapuk 4909 m (7 km trek / 5 – 6 hrs) O/N in lodge After breakfast drive to Tarboche, starting point of Kailash Parikrama. Tarboche is also known as outer “Asthapath”. It is one of the exciting days walking along the beautiful rocky cliffs; waterfalls with some clouds in the clear blue sky make you feeling that Great God Shiva is every where with tons of blessing to you. Time to time the face of Kailash Parbat will be kept on appearing. For 7 km trail it takes almost 7 hrs. 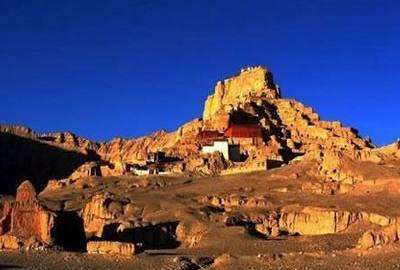 Day 10 :Zuthulpuk – Dongba via Darchen and Lake Manasarovar (10 km / 4-5 hrs) O/N in lodge Morning free time to explore the caves, temples and shrine around Milarepa cave. breakfast and start walking 3 hours at flat land. All the driving crew will be waiting for your arrival near Darchen. You can fill up Manasarovar water on the way. By late afternoon you will be at your lodge in Dongba. Day 11 :Dongba - Nyalam (376 km) 7-8 hrs. Overnight at Nyalam Guesthouse Drive back to Nyalam grom Dongba. Driver will stop at view point to take pictures and exploring surrounding. Reach at Nyalam and Overnight. Day 12 :Drive back to Kathmandu (376 Km - 7/8 Hours) Overnight at Hotel Early in the morning start driving from Nyalam to Nepal Tibet Friendship Bridge. Tibetan guide and driver will say you bye from here. After custom formalities of both immigration, we continue drive to Kathmandu with guide and driver. Day 13 :Fly back to Home or further destination Wilderness Excursion will drop you off at International Airport or further destination. You have option to extend your tour to Chitwan National park or to Pokhara to relax in Nepal. 2 Nights deluxe bed room in 3/4 star hotel in Kathmandu on double occupancy. 09 night’s accommodations in Tibet on group sharing basis using guest house / Hotel. Supporting Nepali crew including our own cooks. Private transportation in Van/Bus in during the tour. Sleeping bag/ Down Jacket if needed on Returnable basis. Personal expenses like shopping, phone calls, bar and beverage drinks, laundry etc. Your personal entrance fees to all the scenic spots or you can skip some if you do not visit all. Tips for the tour support staffs. Bank charge of payment when pay deposit in our company bank account.